Roses for Valentine’s Day is wonderful but even better if you can eat them. Well, not really eat them because you just don’t know what has been sprayed on them. So instead I offer a recipe using rosemary, rose peppercorns, and rose water. 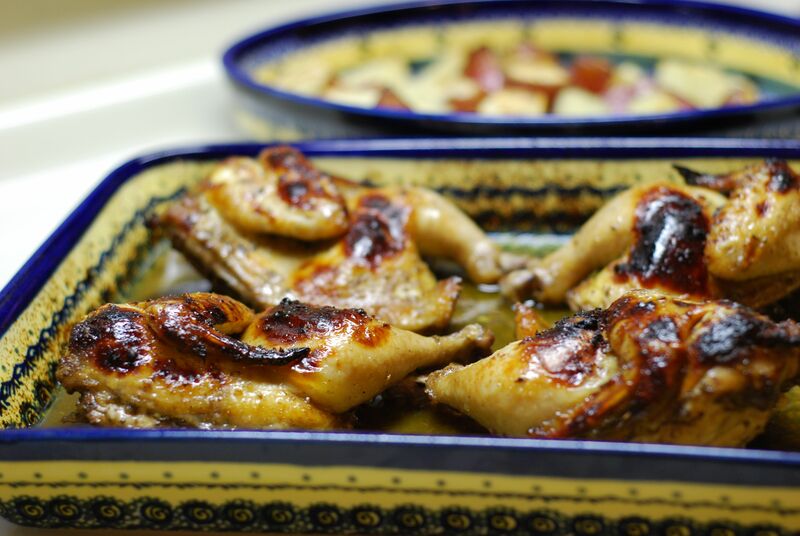 NOTE: Updated this page on March 8th – corrected typo in PDF and added two photos of Cornish Hen. 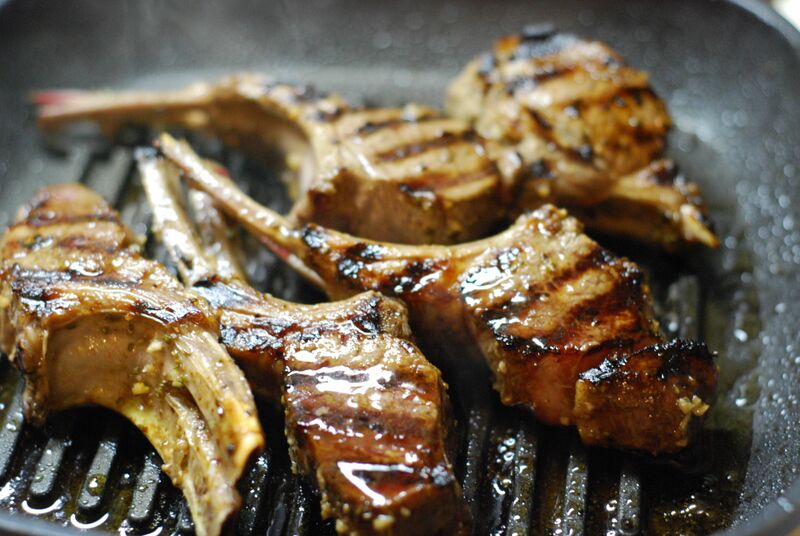 If using lamb rib chops, slice each steak with two ribs so the meat is about 1 ¼ to 1 ½ inches thick. This will help keep the chops medium to medium rare. 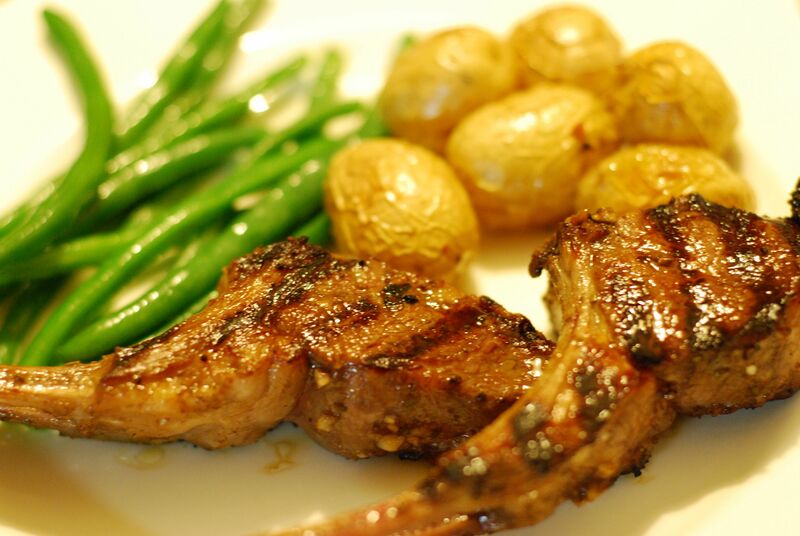 Lamb Kidney Chops (looks like a mini T-bone steak) are generally sliced thick. 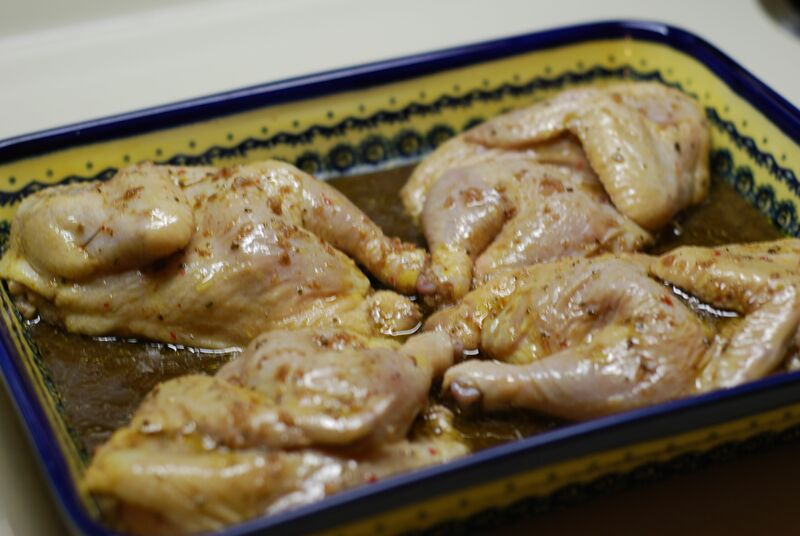 This marinade also works well with Cornish Hens. Split each hen in half (neck to tail). Combine garlic, brown sugar, rosemary, rose peppercorns, cloves, salt, balsamic vinegar, Port, rose water, and olive oil. Mix with a fork or whisk until sugar is dissolved. Add to meat and marinate at least 30 minutes and up to overnight. 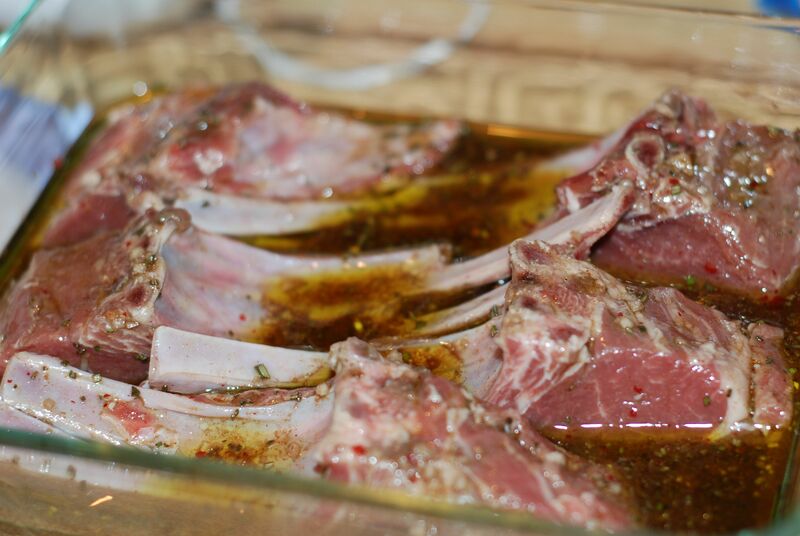 IF PREPARING LAMB: Heat 2 tablespoons olive oil in a grill pan. Sear chops on each side for about 4 minutes on medium-high heat. Alternately, chops can be cooked on an outdoor grill or broiled in the oven. IF PREPARING CORNISH HENS: Bake hens in a preheated 350° oven for 35 minutes, basting once about 20 minutes into cooking. Alternately, the hens can be prepared on an outdoor grill. Sear skin side first, then cook bone side down at medium heat if using a gas grill or indirect heat if using coal or wood. SERVING RECOMMENDATIONS: This recipe pairs well with roasted potatoes or rice pilaf. SALAD RECOMMENDATION: Arugula Salad – mix baby arugula, radicchio, and Belgium endive. Top with slices of ripe but firm pear and slivers of red onion. For dressing drizzle one part Sour Pomegranate Syrup and two parts Greek (Kalamata) olive oil or one part fresh lemon juice and two parts Greek (Kalamata) olive oil. Sprinkle with fresh ground salt and pepper. * Gluten allergy and intolerance has become increasingly common. I will not go into detail about the specific symptoms, causes, or differences but I will note beside the recipe titles “(GF)” for those recipes that are gluten free. Please note that although I have labeled these recipes to be gluten free you must do your due diligence to review ingredient labels of prepared products to verify that they are truly gluten free. Also consider the side you choose to serve. In some recipes I recommend pasta or bread, which in most cases are not gluten free. You are currently reading Three Rose Marinade (for Lamb Chops or Cornish Hen) at Hestina's Kardia.